A decade ago, I was extremely dejected when I found out I couldn’t have Lasik done like any other normal person. A decade later, I was overwhelmed at this new chance to see the world without the aid of any kind of lenses! It didn’t occur to me to seek another professional advice or treatment after a lasik centre in Paragon diagnosed me with Keratoconus (KC) and abandoned me at that point of time. I let myself mourned over the fact that I will be condemned to glasses-wearing for the rest of my life and perhaps even risk going blind. Neither did I know that years down the road, the technology made it possible to halt the progression of KC and also strengthen the cornea. I am thankful that I published “How Myopia Affected My Life” and posted it on Facebook. 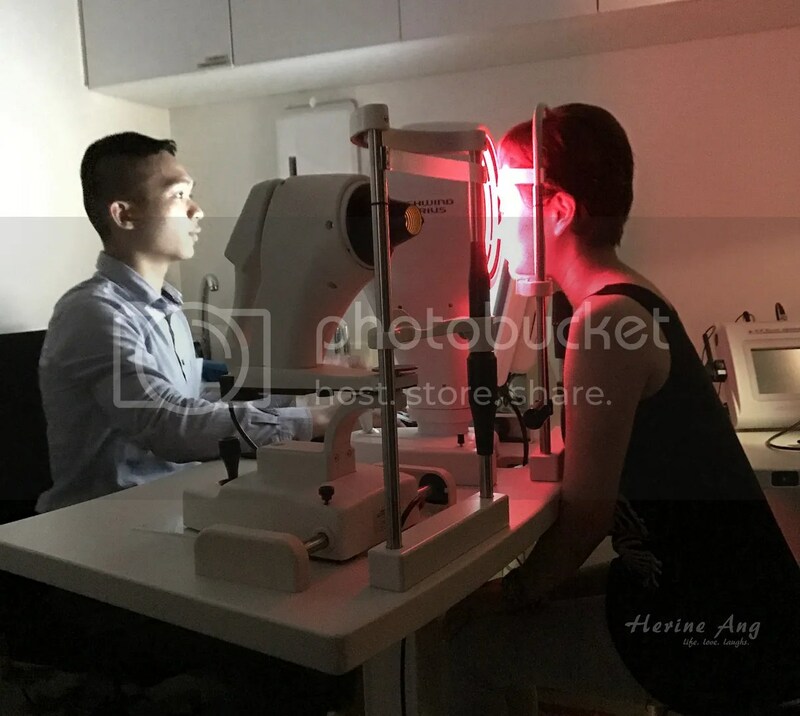 Someone on Facebook recommended me to see Dr Julian Theng from Eagle Eye Centre as she has had her eyes (which was in a worse condition as compared to mine) treated. Thank you, Evelyn! After checking with Evelyn on her procedures, I googled Eagle Eye Centre and dropped them an email with a list of questions before making an appointment to see Dr Julian Theng. As the date neared, I felt myself swallowing my nervousness. I was afraid that I might be disappointed another time. I was worried that I might be informed that there is no treatment available for my eyes because of my KC, severe myopia and weak corneas. The day arrived. With less than 3 hours of sleep, I found myself at the clinic in Mount Elizabeth Novena. Waiting time was minimal. I was brought to a few different rooms for their assessment. I wasn’t sure if I should feel happy when they informed me that my left eye had went down by 125 degrees. Because in order for lasik or implants to be done, it is better to have stable vision for the last 2 years. Some of the tests were a tad discomforting, but nothing painful. Dilating drops were also instilled to facilitate the tests. It is expected to have sensitive, brighter and blurrier vision for a few hours. I couldn’t even read the time off my watch. After most of the tests, I was ushered into the doctor’s room to talk about the findings and what will be suitable for me. What I heard shook me a little, but not for the worse. It either means that the lasik place in Paragon had wrongly diagnosed me or that my KC condition has miraculously disappeared, although KC hasn’t really been known to be reversible. Hmmm? However, Dr Julian told me that my eyes can still be treated. Yay! Instead of ICL (implants) which is more costly at $8000, he suggested EpiLasik for me which is priced at around $3500. Due to my thin corneas, he also recommended me to do Corneal Collagen Cross-Linking ($1177) – a treatment to strengthen the corneas. I estimated my entire program (includes medication and reviews) to cost near $6000. I scheduled my eye surgery in early April. I might not be able to blog as much after the surgery since the vision won’t return immediately, but I’ll definitely share a post-lasik blog post as soon as I can! In the last post, I wrote: “For now, I am praying for an effective solution that wouldn’t cost me too much, or a miracle.” I am so blessed that I have a treatment available. I hope everything goes fine and I can soon wake up with a clear sight. Be gone, those days of fumbling for my glasses!